For people who love to travel a lot, portable solar chargers are a perfect partners. Since they are easy to carry, you can take it along with you anywhere. While these chargers use solar energy to run, you do not need to waste money on charging laptops with electricity. For eco friendly people, these are perfect devices. Featuring 15-watt solar panel and a 50 WH battery, it just needs you to put in the charger in it and leave it in sunlight for charging. Just place it under the sunlight at least for 8 hours for full charging. It weighs around 4.5 pounds including battery and panels. Easy to carry, you can take it along with you to office or any other place. With this charger, you do not have to worry about charging your laptop for hours. All you need to spend to grab this charger is $599, which is an attractive price to get a charger with some good features. Despite its unique shape, you cannot carry the briefcase shaped charger like a briefcase. You have to carry it in a bag. With this charger, you are getting a four-panel connector cable that provides 13 watt of solar energy. 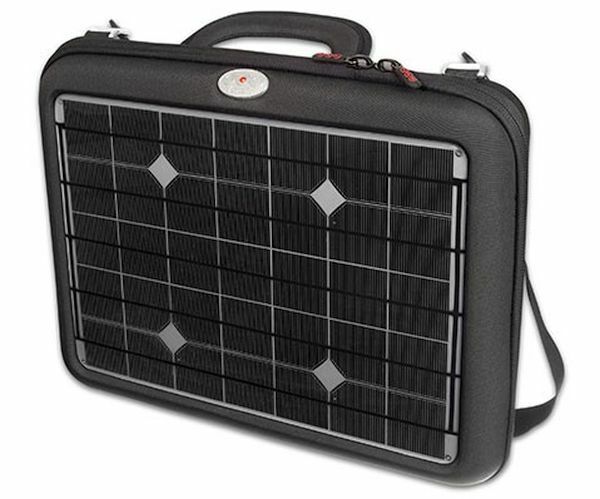 The sunshine solar briefcase comes priced at $160, which, undeniably is a good option at this price. 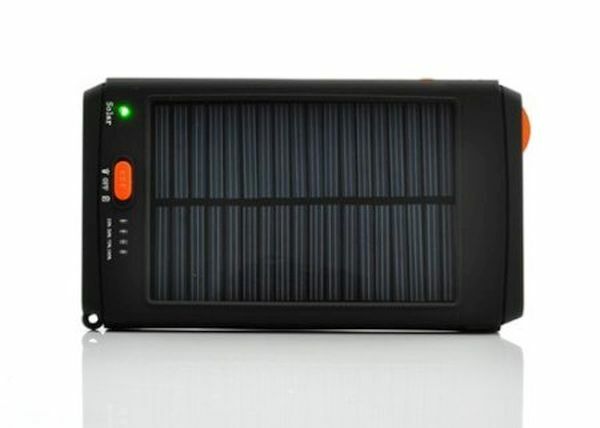 Furthermore, it is one of the cheapest solar chargers available in the market right now. Weighing around 9.25 pounds, it is little hard to carry it but its compact size makes it easy to carry. Keeping it in the sunlight for a day, you can charge your laptop without worrying about the charge status of your batteries. With solar gorilla solar charger, you do not have to worry about charging your devices time and again. Keep it under sunlight and leave it there for few hours for charging. Solar gorilla charger consists of two photovoltaic solar panels, which generate energy from sunlight for charging your laptop and phones. It comes with a portable fold design; thus, saving the solar panels inside. As the body of the charger is made of rubber, you do not have to worry about damaging it, as it is water resistant. When you want to charge your device, just connect it to the laptop or your phone. LED light on the charger indicates the battery power. More lights mean more battery power. 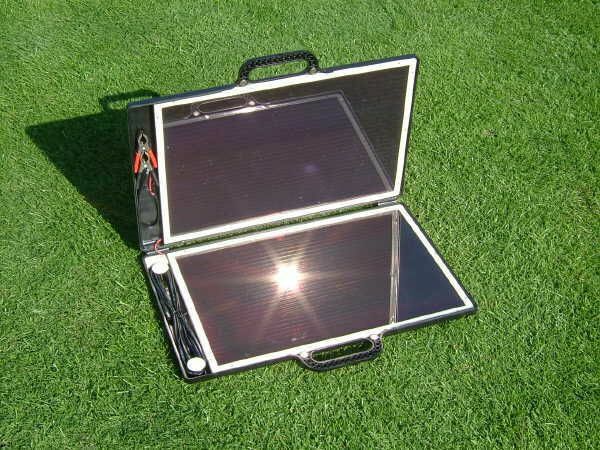 Many people face connectivity issues when using solar charger. 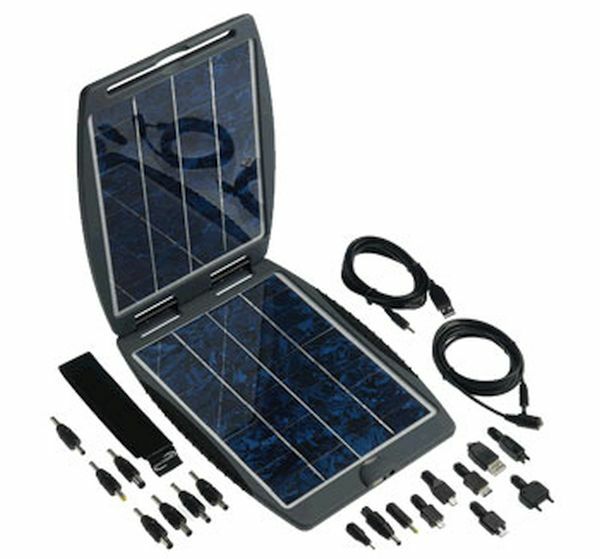 With high capacity solar charger, connectivity and compatibility will never be an issue, as it comes with many adapters for connecting different devices. Just take your device and connect it to the solar charger. Keep the solar charger in the sunlight and connect your device. Keep it in sunlight for two or three hours. With a fully charged charger, you can charge your device three to four times. Owning a solar portable laptop charger is a good option, as it comes with advantages of saving money, energy, and environment. In addition, you can easily carry them along to places.